Big sky country, Montana offers some of the best farm properties and ranch areas in the country. The state is a magnet for cattle-ranching but recently it's also booming due to shale oil production and new mining ventures. There isn't enough housing in the state currently to handle the amount of influx occurring in 2013 with workers and development from the oil industry. For those who want to live in state that isn't complicated by clogged highways and over-populated urban centers, Montana is one of the best destinations in the country for open territory. The state is also rich in historical elements with many proud native tribes within the territory as well as numerous ancient fossil zones as well. MT is the 4th largest state in America, and the 3rd largest in the continental United States. However, it is sparsely populated, with a population of just about 1 million Americans, giving it one of the lowest population densities in the country. The state economy produces around $50 billion annually, and per capita income is around $32,000, a figure that ranks near the bottom of the nation. The average home in the Big Sky Country is worth about $170,000, which actually represents a more than 10% decline over the past year. This is unusual, as property values across the country generally rose in 2013. That said, it could be a great opportunity to pick up a home or plot of land in MT. By median sales prices, the most expensive cities in Montana are Bigfork and Whitefish, where a home will set you back more than a million dollars. More affordable areas include Great Falls and Ronan. One important thing to keep in mind is that in a less populated state, median home values are less reliable as there's less inventory on the market and individual homes can have a greater impact on the median than in bigger states. Nicknamed the Magic City, the Billings metropolitan area is home to nearly 160,000. The city is an economic hub for the nearby area, and citizens of MT, North Dakota, South Dakota, and Wyoming all come to Billings for retail shopping. The city is also very rich in natural resources. The University of Montana is located in Missoula, and it's a great driver of the local economy, both in terms of providing a consumer base and giving the work force a steady stream of well educated employees. Timber is also a key contributor to the Missoula economy. Are you new to Montana? Or are you a current resident who's looking for a better bank? Either way, we can help you compare options and find the financial institution that best suits your needs. Below, you'll find community banks in MT, local credit unions, and the national banks that have branches within the state. People are sometimes confused about the difference between community banks and a bigger player like Bank of America. The general rule of thumb is that the local bank will have a better feel for the neighborhood and community where you live, while the national bank will focus more on delivering the absolute best technology, particularly when it comes to online banking. However, you'll want to dig a bit deeper to find out what you're actually getting. Are you in the market for a certificate of deposit, savings account, or auto loan? If so, RateZip.com makes comparing offers straightforward and easy to understand. Use our free financial search engine to get started now! RateZip.com provides regional mortgage rates for home and property buyers, providing some of the best insights on rate differences for Montana state. Residents of the Treasure State will find the usual home loan options such as fixed rate mortgages (FRMs) and adjustable rate mortgages (ARMs), along with jumbo loans, FHA & VA home loans, and more. One option that Montana home buyers may want to consider is a mortgage offered by the United States Department of Agriculture. The two important qualifications are that the town where the home or property is bought must not be densely populated - the limit is generally about 25,000 residents - and the homebuyers income cannot exceed 115% of the local median. Given the open spaces in Montana, this is something for prospective buyers to consider. 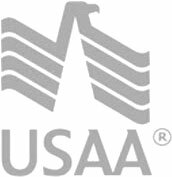 The main benefit of a USDA home loan is that it requires a much smaller down payment than a conventional mortgage, and indeed sometimes there is no need for any down payment. This makes the mortgage an excellent tool for a first time home buyer who's looking to achieve the American dream of homeownership.